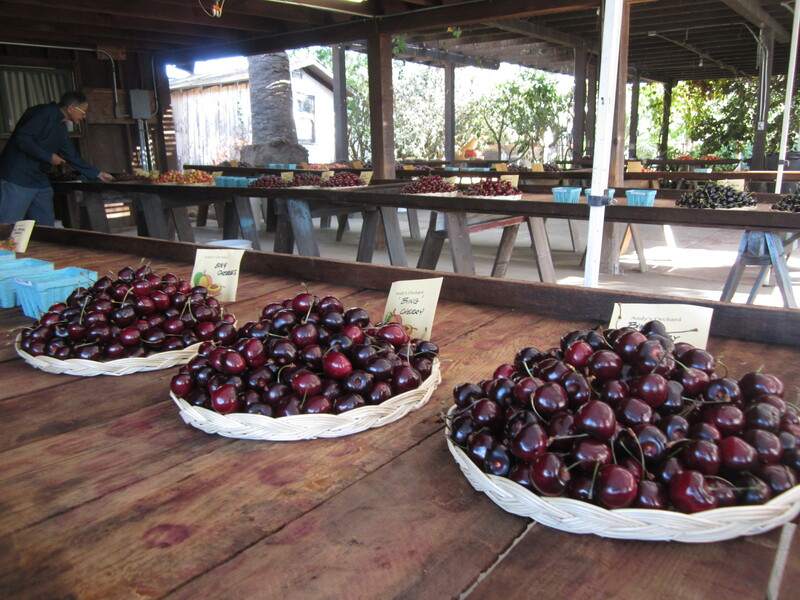 This tasting featured cherry varieties from centuries ago in Europe, old American favorties, and brand new varieties bred by Zaiger Genetics, and others by the Santa Clara Valley CRFG Hybridizers Group. The longest day of the year is here and the fruits are falling from the trees. Will you be there to taste test the delicious diversity? Well there are many opportunities to expand your palate. please send me any tastings I have missed! I started this year’s summer fruit tasting season with my son on Fathers Day last Sunday at Andy’s Orchard in Morgan Hill, South of San Jose. 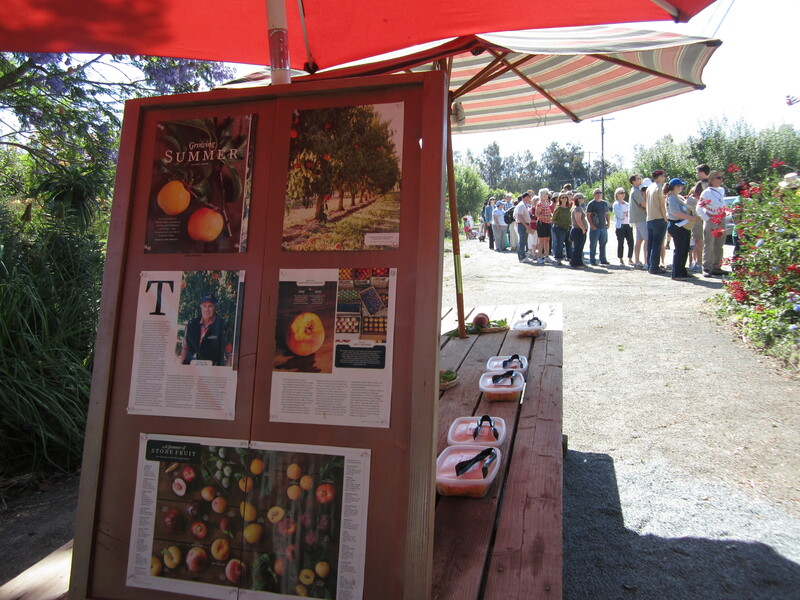 This year Sunset magazine’s June 2013 issue just came out with an eye popping article on Andy Mariani and Andy’s Orchard, of course mentioning their seasonal fruit tastings. This publicity lured the crowds of tasters to number an estimated 300+. Sunset magazine feature article about Andy’s fruit gave people reason to wait in such long lines to enter. 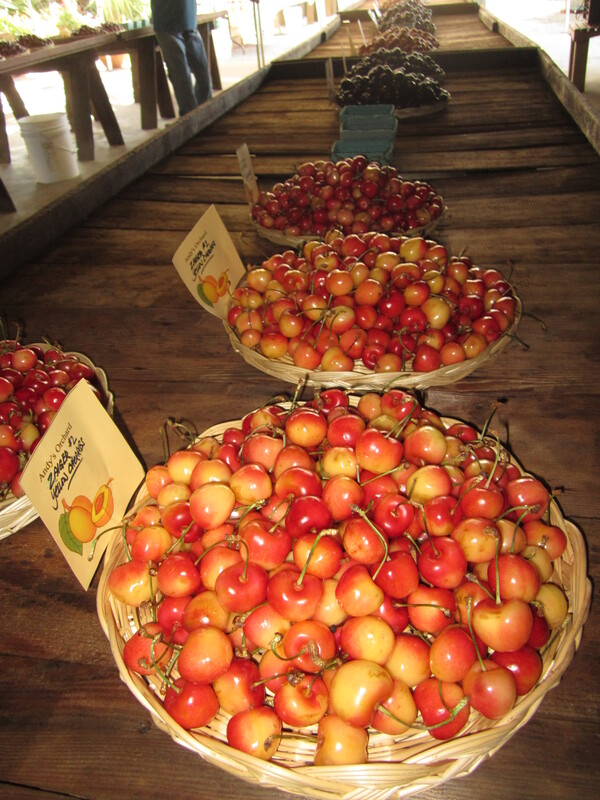 Our bellies were getting full and our taste buds saturated, having tasted 34 varieties of cherries, and a dozen other early stone fruit varieties, topped off with a chocolate dipped fresh cherry! Then there was the orchard harvest walk, this time with the alert leadership of Karl Gross, scion exchange co-ordinator for the Santa Clara Valley CRFG. We took home some rare fruits: including a few pounds of the ‘Black Republican’ cherry, mother of the renowned ‘Bing’. Picking the wonderfully rich ‘Black Republican’, c. 1860. This weekend there are at least two tastings on the same day, scheduled so that you could actually attend both. 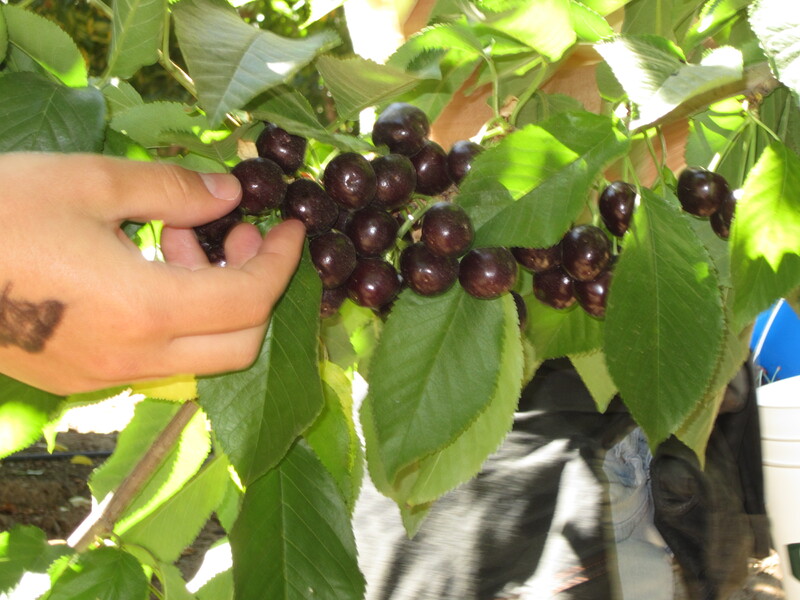 At 10 am on Saturday, June 22, the USDA National Clonal Germplasm Repository will host a mulberry and early stone fruit tasting at the Wolfskill Experimental Farm near Winters. The more fruit you taste, the better your reference points are to know what you like and describe for others what they might like too. This will allow you to make a better shopping list for our winter scion exchanges. It is hard to remember those warms summer fruits in the cold of January, so make good notes! Your taste buds just might start to tingle when you hear those special names again. This entry was posted on June 22, 2013 by cornucopiafoodforest. It was filed under Uncategorized .